LT & WG brought jane’s chocolate cake and tiramisu cakes for wife. WG also brought some nice char siew and braised pork…both were nice. i like the char siew better..i think she said she used pork loin and the texture was very good, it’s like sous vide almost. wife told me last evening her friends including CM who we visited couple times in UK were coming, CM from UK and LK visiting from australia. she said she would buy chicken rice. 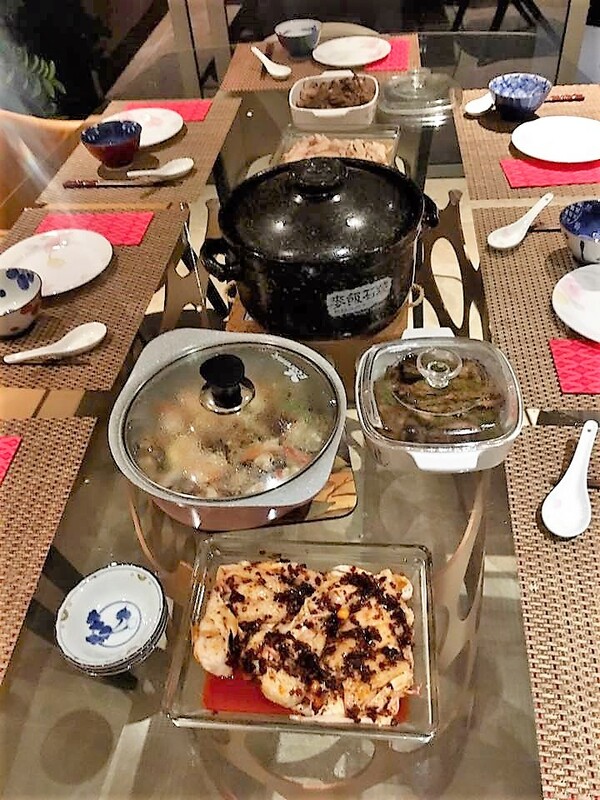 she didn’t want to ask me to cook as i just cooked tapas for her other friends 9pax dinner 2 days back on 2.11.2018.
so i went to buy 1 large chicken for claypot rice and 1 kampung chicken for drunken chicken and saliva chicken, and romaine lettuce for aunty bes. i debone the large chicken and boil the bones with carrot, ginger, red onions, spring onions, garlic to make intense stock for the prawn tofu dish. the claypot rice was not my best, but it will do, flavourful, i think quite ok texture. chicken were tender & tasty. i made a mistake in the process, not one i normally make. i forgot to fry the rice before adding water. 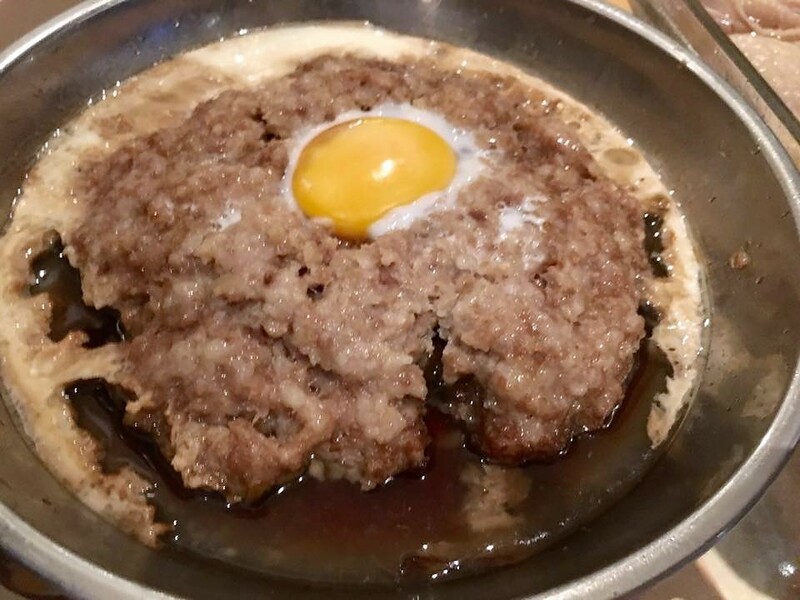 to the claypot rice. lol! this dish does not need stock as the whole deboned chicken already very tasty. 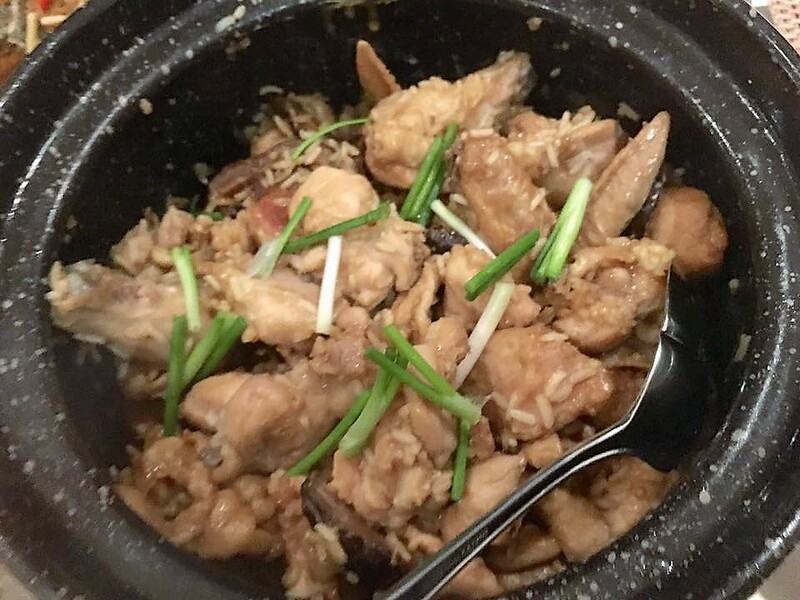 for drunken chicken 醉鸡 and saliva chicken 口水鸡, it was the usual 白斩鸡 preparation, but becos kampung chicken is 1-1.1kg c/w large chicken 1.4-1.6kg, i have to adjust the timing = so boiled 9mins & poached 20mis. 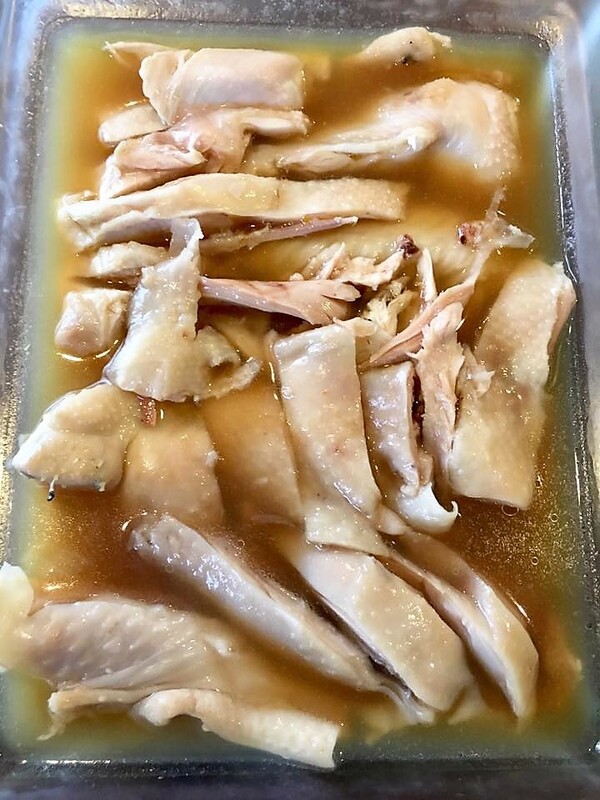 last evening, i salted the chicken and dry in the fridge and washed thoroughly this morning before boiling in the chicken stock. 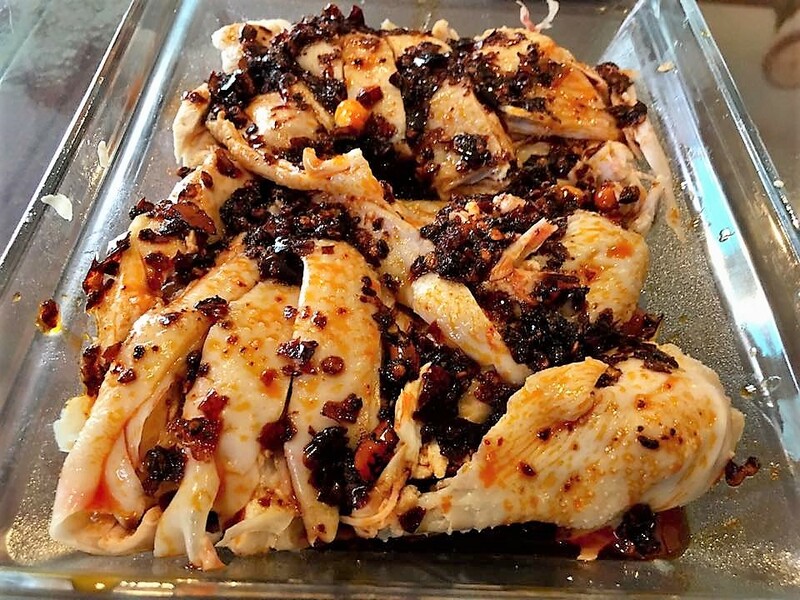 or saliva chicken 口水鸡, i added 2tbsp 老干妈 mala sauce, 1 tbsp fish sauce, 1 tbsp sugar, mixed well and added to the chicken, sealed and put in the chiller. both dishes were quite excellent. all the friends liked them. wife especially like the drunken chicken. 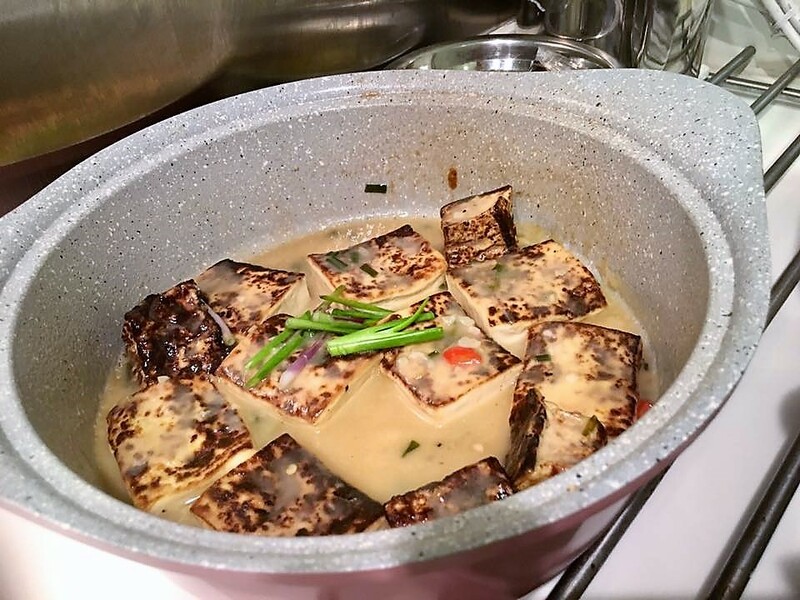 i shallow fried the tofu and made the very tasty gravy from the chicken stock. when serving, i added one egg, drew with a chopstick then added prawns and covered to cook. a great dish and nice presentation. unfortunately i did not take photo. 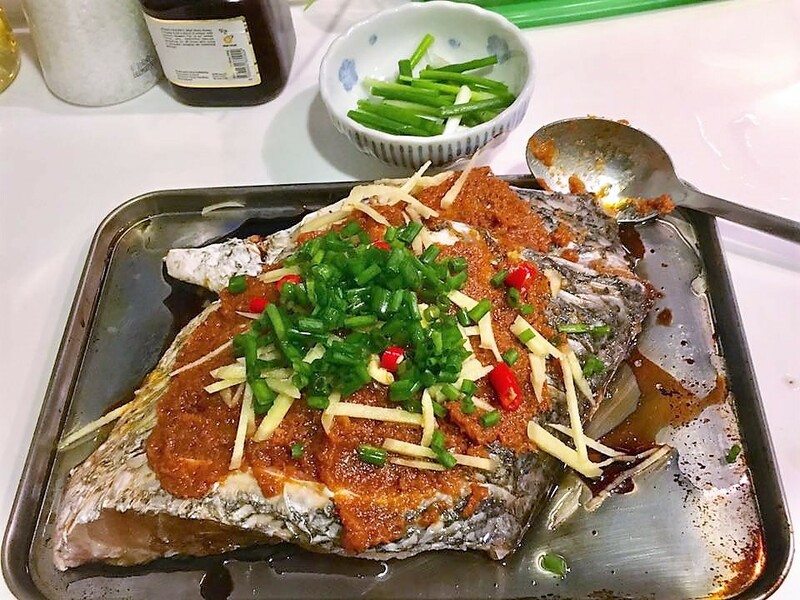 the red snapper fillet was fresh and sweet, and they all loved the gimson nonya sauce, tasty, tangy, great combination of taste with the hk steam light soy sauce, olive oil & mirin. we also had WG’s char siew & braised pork. unfortunately i did not take photos. & aunty bes fried nice romaine lettuce. afterwards wife had her birthday cakes and photos. i left a little earlier as david is in town visiting from cupertino and the guys were meeting him for a drink at hopscotch.